Designed with layers of shimmering deco mesh , The red Truck wood Sign perfectly centers this amazing design. 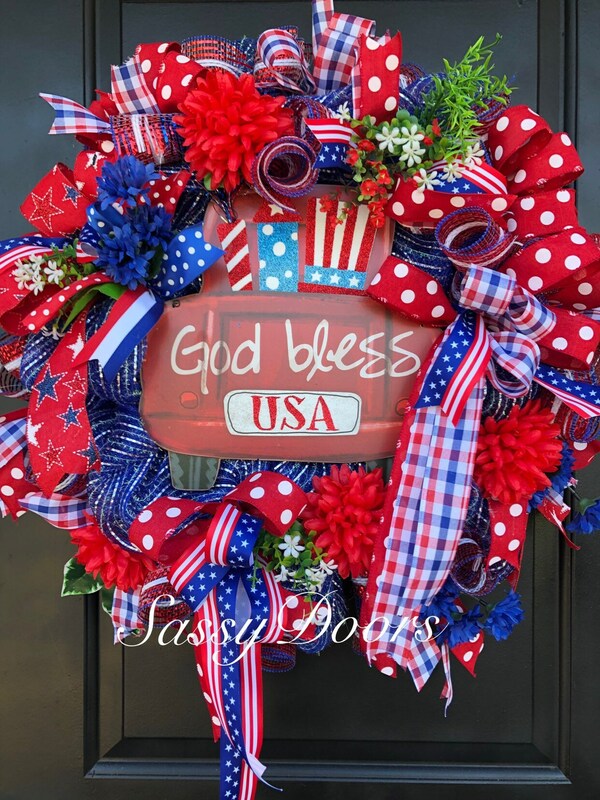 The patriotic multi ribbons and bows really give it the wow effect. 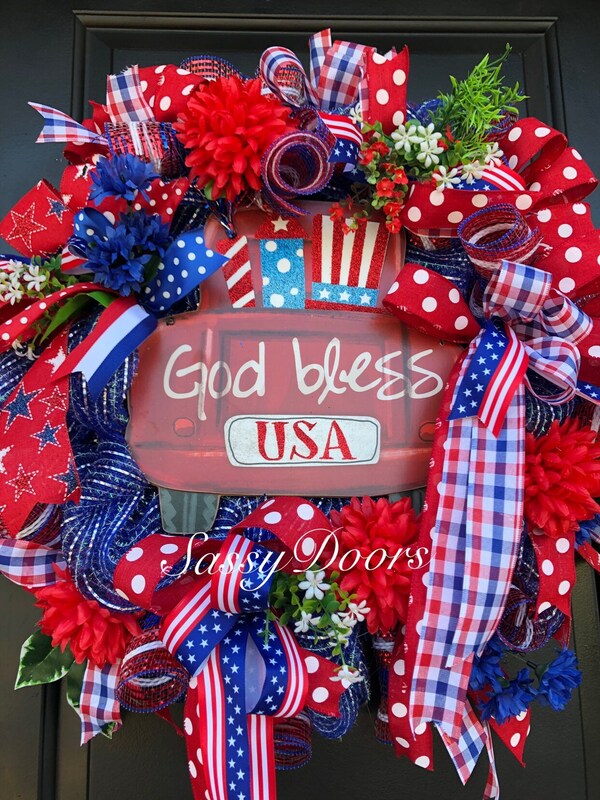 Percy way to greet your summer guest and show your patriotic pride. 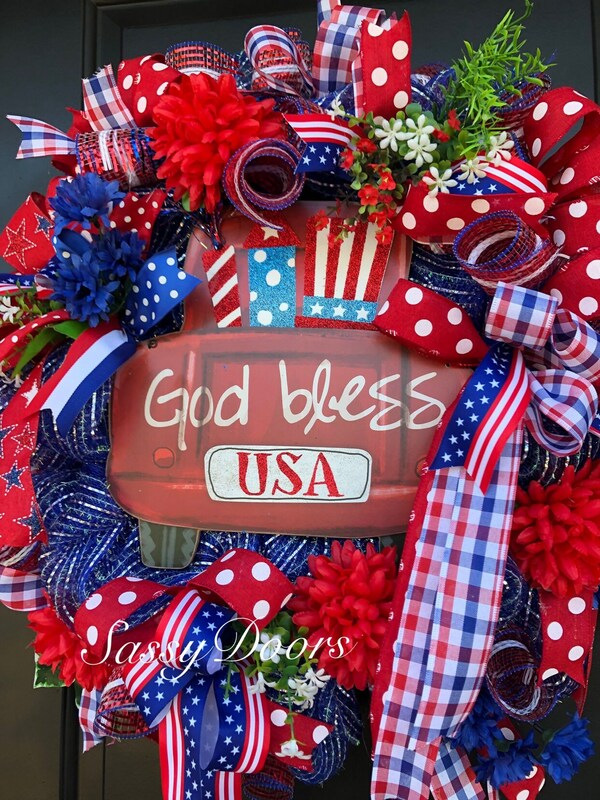 All our wreaths listed are ready to ship within 1-3 days of purchase. Custom orders require additional time. Be sure to hang in a protected area and away from direct sunlight.